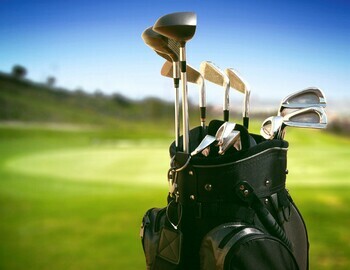 Summer is the best time to get away and go on a golf vacation. It’s the time when the weather is best and when the golf courses are at their prime. Some of the best places around the United States to go on a vacation include Orlando, Florida – with resorts all around Disney World; Hilton Head, South Carolina – where the RBC tournament in the PGA is held once a year; Monterey, California – where Pebble Beach hosts a very popular PGA event every year and will be hosting the US Open in 2019; Myrtle Beach, South Carolina – where the 5-star resort TPC Myrtle Beach is; and lastly one of the most popular destinations would be Pinehurst, North Carolina – known to some as the capital of the golf world. There are also many great golf vacations to go on right here in Michigan, and also just across Lake Michigan in Wisconsin. Whistling Straights is ranked Number 4 on the “Best Public Courses to Play in the United States”. There are also a few courses from Michigan that are in the Top 100: Arcadia Bluffs is ranked number 13 on that list, Forest Dunes is ranked #25, Tullymore #53, Bay Harbor #72, and (The Bear) Grand Traverse Resort #78. A couple other resorts in Michigan that aren’t currently ranked include Boyne Resorts, Treetops Resort, and Black Forest Golf Club. These are extremely nice resorts and great places for a family to go enjoy a trip that doesn’t only include golf. Michigan is full of courses and no matter where you travel in the state you will find courses around that are very highly rated and come strongly recommended.